Using the new Google Flights, is it possible to track prices for certain routes (e.g. New York to Madrid), but without specific dates in mind? For example, my schedule is flexible enough that I can take a 10 day trip sometime in July or August, so I want to find the cheapest flights within that time. This gist of this question is the same as this one, but here I am specifically asking if this is possible to do within the revamped Google Flights site. It's definitely not possible right now -- the closest you can get is setting a ton of alerts covering the range of dates you want. 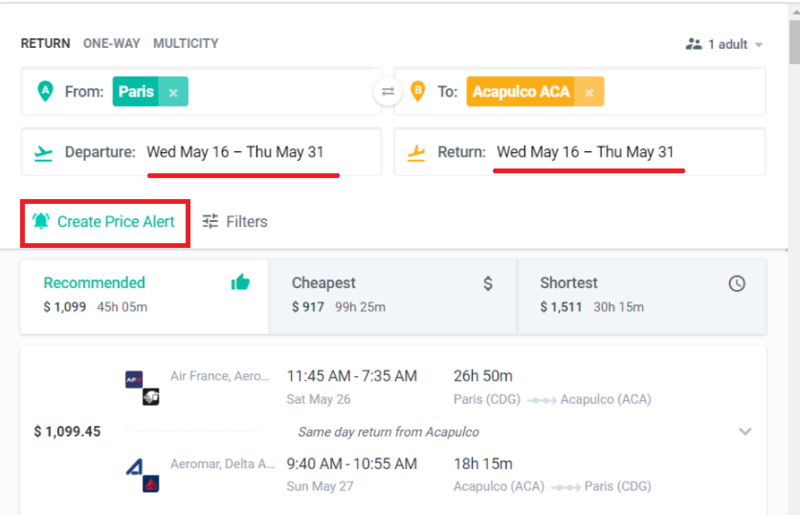 As far as I know, no travel site allows setting super-flexible alerts right now since it requires making a lot of queries every day (which can get pretty expensive, especially if you're using a GDS (Apollo/Sabre) as your data source). It's frustrating that there's no better solution right now, but I'm sure someone is working on it! There is a website in Brazil that allows users to set price alerts regardless of dates (voopter.com.br). All you have to do is set a departure and destination airport and select the highest fare you would be willing to pay (be it a one-way or round trip). It's a collaborative platform, so the more people search flights on it, the higher are the chances to be alerted. Unfortunately, it's not a widespread website, but I still manage to receive alerts for popular destinations all the time. I love it because they use several other flight search platforms so you don't have to spend time looking around. That's how I think Google should do, too. 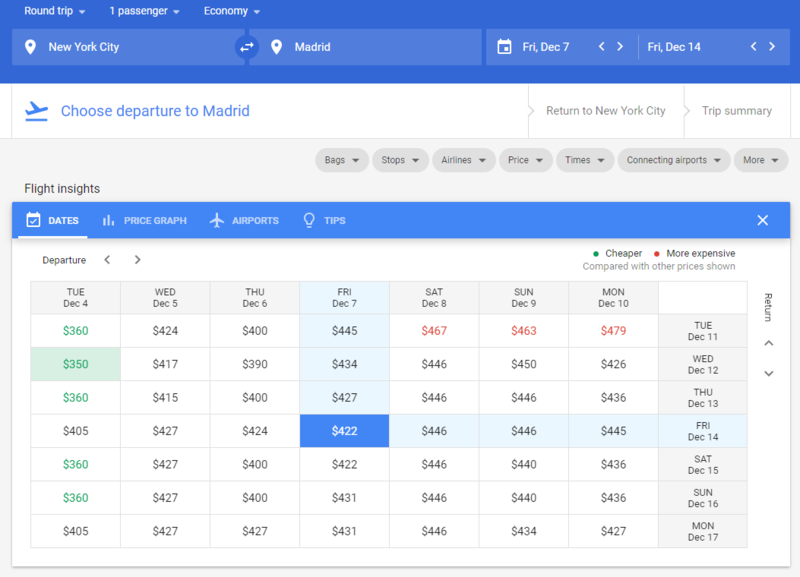 People are constantly searching for flights on Google Flights, so they could use these cheap flight results originating from other people to alert flexible travelers. It's quite easy to determine whether a flight is cheap or not based on its price history. Actually, your alerts would be based on the highest acceptable price you select on the platform. Kiwi allows alerting through date period. I do not know how good this function really works, but just for you to know. I set it up and received Kiwi notifications only occasionally, so have no idea if the prices didn't change or it's not working properly. EDIT: I missed the point that automatic tracking is needed, but this allows for manual check. Not the answer you're looking for? Browse other questions tagged bookings price flight-search-engines google-search or ask your own question. Is there a best time of day and day of the week to book affordable flight tickets?